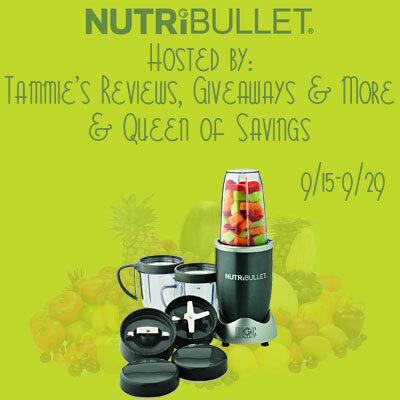 You can read Tammie's review of the NutriBullet by going HERE to read it. Everyone I know loves making a smoothie and all sorts of healthy drinks but that is just about to get easier as the NutriBullet is a must have product to do it easier, make it easier and drink it easier. Robyn's thoughts: I have only had the opportunity to try out a Baby Bullet, but I'd love to have a NutriBullet. Not just for making smoothies and shakes, but also for making homemade salsa and guacamole. I would love to give this a whirl and see how many things I could use it for in my kitchen. I hope you'll enter and that you win! And if you are looking for an excellent source of recipes for the NutriBullet, be sure to check out http://www.nutribulletrecipes.org.